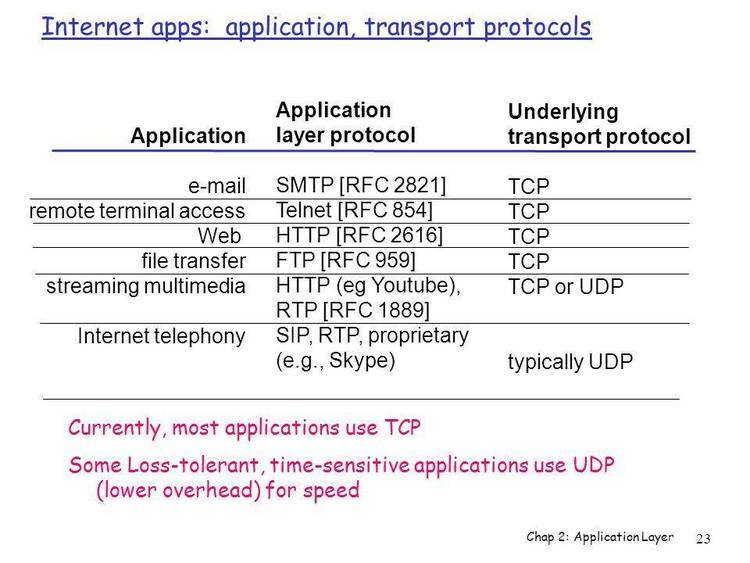 RTP is a terminal program written for the application layer of a packet radio station. use with the IBM PCjr, see the note in the Appendix. to make a donation, don't feel guilty -- just enjoy RTP! As others have already said: "We thank you for your support." which accompanies this file on the diskette you received. file will be automatically closed when a BEL character is received. your disk file, thus ending the transfer. input parameter to RTP. Example: "RTP VHFPKT" or "RTP AMTOR". the key press to allow automatic recover from an power outage. Home key when you can't remember anything else about RTP options. using Amtor mode with RTP and your multimode TNC. whether or not you want to use the auto open and close function. the files to RTP on the command line when you first execute RTP. Example: RTP CW or RTP AMTOR. this file is to enable QSAVE (see QSAVE BUFFER CAPTURE OPERATION). Also, see Alt-L in OPERATING KEY COMMANDS TO RTP. DEFUNATTEND and MSGDEF in the DEF FILE COMMANDS section. will cause the speaker in your PC to beep when someone connects. TNC. See CONNECTBELL in DEF FILE COMMANDS. BACKGROUND and FOREGROUND commands in DEF FILE COMMANDS. your terminal, you don't have to go into the full download mode. You can quickly capture what is being sent to you with Quick Save. saved to and you have but a simple keystroke to start the capture. See MONITORFILE and CONNECTFILE in DEF FILE COMMANDS. already know how difficult it can be to find the cursor at times. previous 5,000 characters or so of received text can be seen again. you have sent by pressing the Alt-I key. OPERATING KEY COMMANDS TO RTP. file on disk. Press Alt-D for the command summary and editor. This function includes all DEF commands and F-key definitions. you can toggle your printer into action by using the Alt-G key. finished. See Alt-O in OPERATING KEY COMMANDS TO RTP. in an F-key definition. See FUNCTION KEYS IN THE .DEF FILE. purge it. See Alt-P in OPERATING KEY COMMANDS TO RTP. with a friend who is also using RTP or PTP. You'll want more! See PgUp and PgDn in OPERATING KEY COMMANDS TO RTP. the saved lines in the opposite direction from the "up-arrow" key. See Cursor Up and Cursor Down in OPERATING KEY COMMANDS TO RTP. or a carriage return (CR) is entered. to each of the connected stations. Net Master is enabled. More on that later. use Net Master mode while 3-screen mode is enabled. NM operator will also be sent to each of the stations in the net. worked very well during our tests in Wake County, NC. packet of text which appears on their screens. will leave you in a strange condition. unattended operation for the frequency where you operate. the keys on your keyboard (other than Alt-X) are disabled. unattended) to have access to. unattended mode when you first start RTP. similar file names in your PPATH. disable it when he brings RTP up with unattend mode operative. by TLINELEN for transmitted text and RLINELEN for received text. typed will be moved to the next line and you continue typing. to 0 for received text. considered text for your station and sent to the center screen. that do not end in CR will cause a problem for 3-screen operation. the cursor will move to the beginning of the next field. Tab Moves cursor to the next field. Shft-Tab Moves cursor to beginning of the previous field. Alt-E Erases to the end of the current field. Alt-C Returns to communications mode. will be automatically generated when the message is saved. cause RTP to enter the current time from the system clock. clock is set to UTC if you use this option. will not be changed by RTP. feature of the W0RLI-type MailBox systems. Do not include the "@"
since RTP will add that automatically for you. PBBS: Go to the essage menu and at the prompt, press Alt-S.
W0RLI-type MailBox: At any system prompt, press Alt-R.
renamed to MSGnnn.LOG on your disk. commands with associated data to personalize RTP to your liking. that you create your own, personalized RTP.DEF using DEFMAKE. the same line as the command. mode. See the Alt-M function. additional .DEF files you will not want to have STARTUP in them. This belongs in RTP.DEF only. If YES sets TNC clock time from the system clock at startup time. The Default is NO. This option is not available on the TNC-1. the connect is lost. The Default is NO. stream character is being used by the TNC. Default is 124 (|). when using Net Master mode. detected. The default is YES. See your BASIC manual for color numbers). The default is 7.
are set to the same value, the defaults of 7 and 0 will be used. The initial state of QSAVE will be active if this is defined as ON. The default is OFF. See the Alt-Q function. as ON. The default is OFF. See the Alt-Y function. defined as ON. The default is OFF. See the Alt-X function. from the TNC) will be the default message in CONNECTTEXT. This parameter will allow you to choose a large, full block cursor. Useful when using RTP on an LCD screen. The default is NO. but the actual text can vary with the type of TNC you are using. when you are in 2-screen mode. The default is OFF. when RTP is first started. The default value is YES. to define a file to be sent as a brag tape in an AMTOR or RTTY QSO. an XPACKET or XMODEM file transfer. The default for this is YES. letter from A to J. This is used for the Net Master feature. character type. Default is LETTER. Choices are NUMBER and LETTER. mode you are set up for (such as PACKET, MORSE, BAUDOT, etc.). Editor along with the Alt-S option. characters after CR's during an ASCII upload. The default is NO. ***CONNECTED string in received data. This is used only with the TNC's having multiconnect capability. not want USERS changed at all, set this to -1 (minus one). command when not connected. DCD YES is required. can be accessed by anyone else during unattended mode. between the computer and the TNC. always be set to N (none) parity. mode changes between AMTOR and PACKET or any other operating modes. SF1 This is a test string for shift function key 1. SF10 This is a test string for shift function key 10. CF1 This is a test string for control function key 1. CF10 This is a test string for control function key 10. AF1 This is a test string for alternate function key 1. AF10 This is a test string for alternate function key 10.
and then return to RTP. keystroke combinations which will cause RTP to perform functions. Clears all text from the communications screen. files can be anything you like and it can be wherever you like. You will be prompted for a path/filename, but without an extension. default if they were set by RTP.DEF when the program was started. appended to your QSAVE file. it scrolls, you may press the S key to start/stop the scrolling. set, this function will not capture any data. the Alt-W traffic editor function, as a file. The "handshaking"
message you have selected or set up via the RTP.DEF file. the DOS command prompt to return to RTP. TNC on the selected comm port. that DOS can find it or the program will abort. you don't care about seeing the data. uses the file named by the MONITORFILE option in your .DEF file. stripe will flash to let you know that the file is open. delay, send 3 ^C characters, and delay for one more second. setting of TLINELEN in your .DEF file. erase the field before typing. See NTS TRAFFIC GENERATION. data goes to your CONNECTFILE as defined in your active .DEF file. quick-access brag tape file. Example of use: ^OB:BRAG.FIL. Ctrl-O cannot be used from the keyboard, just from an F-key. the END key, you will be asked if you are sure you want to exit. (optionally) provide a name for the XPACKET file to be received. receiving an ASCII or binary file or using Qsave. use when Home is pressed. when PACKET is set to YES. file, or directly from the DOS prompt by typing "RTP". This file defines your RTP options to begin with at startup time. expect NTS message writing to work properly. file must remain the same size -- 23 lines. for RTP to run. It must be on the default disk(ette) drive. is completed, you might see this file on the selected disk drive. You may erase it, or rename it if you desire. with your preferred parameters using DEFMAKE. Example of an UNsuccessful transfer. until the file transfer is started. brief description of the protocol. data when the flow is otherwise continuous. you can use this as the target drive and should have no problems. internal modem is there. The hardware addresses are not changed. and no guarantees are implied or intended.